If you have been following the itinerary suggested in Part 1 of my Ipoh Heritage Walk you will now be exiting the FMS Bar & Restaurant, hopefully having enjoyed a well deserved meal and drink. 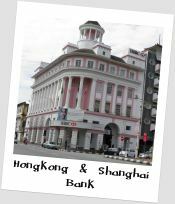 You will have seen from the map (in Part 1) that there is still some way to go so let us start the second half of the Ipoh Heritage Walk. 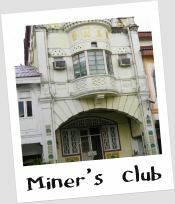 After taking a few zig-zags through Ipoh's colourful side streets you will arrive in front of the distinctiveHan Chin Pet Soo building in Treacher Street (Jalan Bijeh Timah) which was established in 1929 as a Chinese tin-miners' club. It is an unusual design, with a bay window topped with an Islamic style ribbed half-dome and decorated with colourful floor and wall tiles which remain in very good condition. 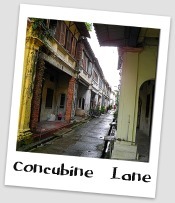 Opposite the miner's club is the narrow entrance to Panglima Lane also known delightfully as 'Second Concubine Lane'. Originally a district of prostitution, opium dens and gambling joints, this street was later turned into a residential area and apparently, wealthy Chinese businessmen would install their mistresses (concubines) here. Today the street is decaying badly and it may not be safe to enter for fear of collapsing buildings. There is talk of restoring the street to its former glory but fast action is needed if it is to be preserved. 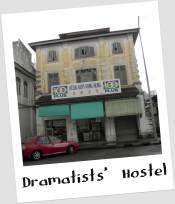 The next site on our Ipoh Heritage Walk is another heritage building dating from the 1920s, the Dramatists' Hostel on Leech Street (Jalan Bandar Timah). As the name suggests this building used to accomodate actors who performed in the Chinese opera theatre next door (since demolished). Next we proceed to Jalan Sultan Iskandar (formerly Hugh Low Street named after the colonial administrator who first climbed Mt. Kinabalu - hence Low's Peak). Along this road you can find quaint oldshophouses selling all manner of products from bamboo chicks (roller blinds) to pork floss. 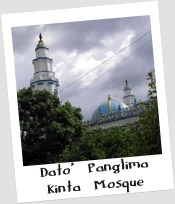 Just across the River Kinta towards Ipoh new town sits the historic Dato' Panglima Kinta Mosque built in 1898 by the Dato' in memory of his wife. It is designed in moghul style with a striking blue dome. In the compound of the mosque is an old wooden building which was once a religious school, the first Madrassa in Ipoh. 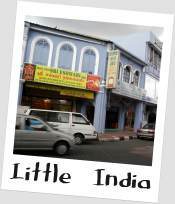 Head back across the bridge to the old town and find your way to the Little India district where you will find colourful textile shops, jewellers and general stores. This is a good place to try some southern Indian food. 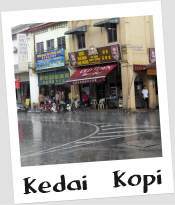 To finish the Ipoh Heritage Walk relax and have a cup of Ipoh's famous white coffee. On the corner of Jalan Persiaran Bijeh Timah and Jalan Bandar Timah there are 2 or 3 cosy establishments which compete with each other for the title of best white coffee in Ipoh. From here you can make your way back to the railway station if you are returning to KL or to your hotel. I have finished my Ipoh Heritage Walk at this point because that is probably enough for one day. But there are still more places to see in Ipoh. Perhaps I will cover those in a later walk. The best way by far to get to Ipoh from Kuala Lumpur is on the recently launched Electric Train Service (ETS) which completes the journey in 2 hours and 15 minutes for the transit service and 2 hours 3 minutes for the express service. Currently there are 5 trains a day, departing KL Sentral at 06:22, 08:33, 14:03, 18:52 and 21:03. The return trains depart Ipoh at 04:00, 05:30, 11:15, 14:00 and 18:30. On my recent trip the fare was RM30 each way. The carriages are clean, safe and comfortable. You can buy the ticket at the dedicated ETS counter at KL Sentral station. Look out for the yellow and blue ETS logo. The train arrives at the historic Ipoh Railway Station which is the starting point for our Ipoh Heritage Walk. Check the railway company's website before departure for the latest timings and fares. There is a slower, older and cheaper train service to Ipoh from KL (KTM Intercity Shuttle) which takes nearly 3 hours and costs RM12 each way on economy class and RM22 each way for superior class. The second best way to get to Ipoh is by driving yourself. Simply take the North-South expressway. Having a car is obviously not needed for the Ipoh Heritage walk but would be useful if you are planning to see other sites outside of the city. Ipoh airport has limited flights but Firefly has an Ipoh/Singapore service. For the vast majority of Malaysians, the main attraction to Ipoh is the food, never mind the heritage. 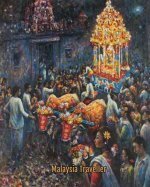 Ipoh is known to Malaysians as 'Eat City'. It does not translate well but you get the idea! Some of the water in the Ipoh area is very pure, filtered by the surrounding limestone hills, and has a high mineral content. This produces top quality, tasty and nutritious fruit and vegetables which form the basis for many of Ipoh's speciality dishes. Sar Hor Fun, Ipoh's version of Kway Teow made with flat rice noodles served in chicken stock. Bean Sprouts, Ipoh's bean sprouts are renowned for being the most flavoursome in the country. Best tasted in famous dishes like Nga Choi Kai (bean sprout chicken). Heong Peng, a type of biscuit traditionally cooked in a clay oven fuelled by burning coconut husks. Sar Kok Liew, deep fried yam or turnip fritters. 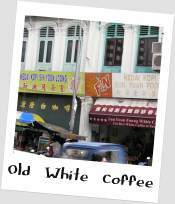 Ipoh White Coffee is now common throughout Malaysia but you should try the authentic original version while in Ipoh. I tried it in this kedai kopi in Leech Street. White coffee is made from coffee beans roasted in palm-oil margarine. The powder is brewed in a sieve and served with both condensed and evaporated milk. It was very satisfying though rather sweet for my taste. - Pomelos. This large juicy citrus fruit grows in Tambun about 10 minutes drive from Ipoh but you can also get them in town. - Biscuits. Shops selling Heong Peng (biscuits) can be found in Jalan Sultan Iskandar. - Ipoh White Coffee. Try to get proper white coffee powder rather than the 3-in-1 mixes which are made with artificial creamer. - Chinese Tea. The Purple Cane Tea House is an interesting shop selling a wide range of teas, tea pots, cups and accessories. It is also a good place to eat and sample some teas. See their location on the map. 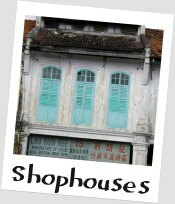 If you want more detailed information on Ipoh, including the personal recommendations of an Ipoh expert on food, shopping, hotels and top attractions you can find it here. 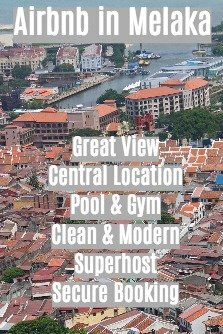 Take a look at Agoda's website for a wide range of hotels to suit all budgets at discounted rates.